In fact the very first day at work, we went to Just Seafood, Kota Damansara for Nasi Lemak Lobster. Woo hoo! Pricey but yummy but of course lobster got not much meat so maybe not that worth it. 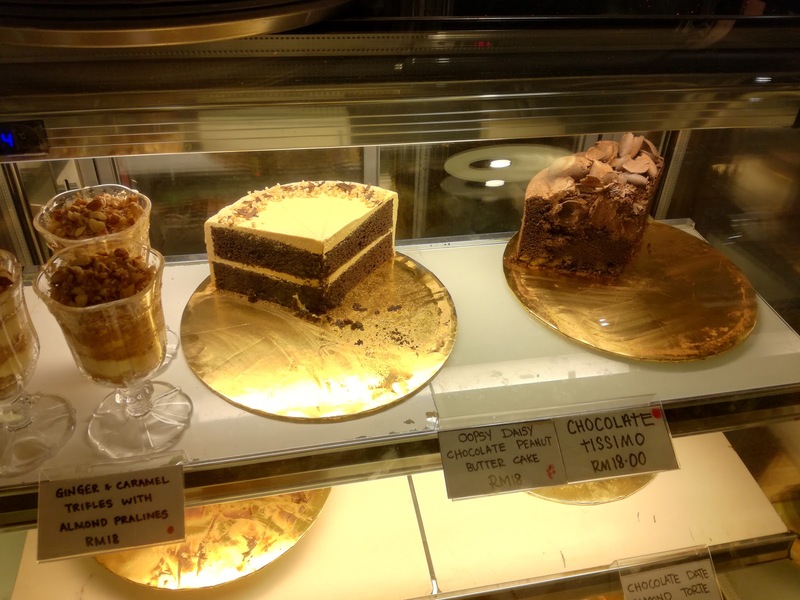 Citta Mall has a new bar which is very cozy and nice called 'The Barn'. The platter is good for sharing and they have a wide selection of wines. Spicy ramen at Shichirin, Taman Paramount. Had crabs craving and went to Ombak Kitchen at Bukit Jelutong. Can you guess what's the flavour? We had chilli chocolate flavour haha and it was not too bad! And the helpers will crack all the shells for you so it was awesome! Btw, their crab rassam is a MUST TRY! Spicy and flavourful. Pan Mee at Jojo Pan Mee. Newly discovered, Mykori Dessert, Kota Kemuning is a great place for bingsu. Their cheese ham fish patttern croissant is also a must try. But their melon bingsu is the bomb diggity. It's not just ice but very milky and it's full of melon. Pan Mee again at Go Noodle! Durian season so had to try some. Cheese escargot. Cheap but not that nice. But their salted egg yolk melted cheese was a surprise in this kinda place. Delicious. Finally got to try Family Mart's melon ice cream. Quite sweet though. Still prefer the cheese flavour. Then, road tripping to Penang! Yay! Starbucks to start the journey. Stopped at Ipoh for chicken rice. 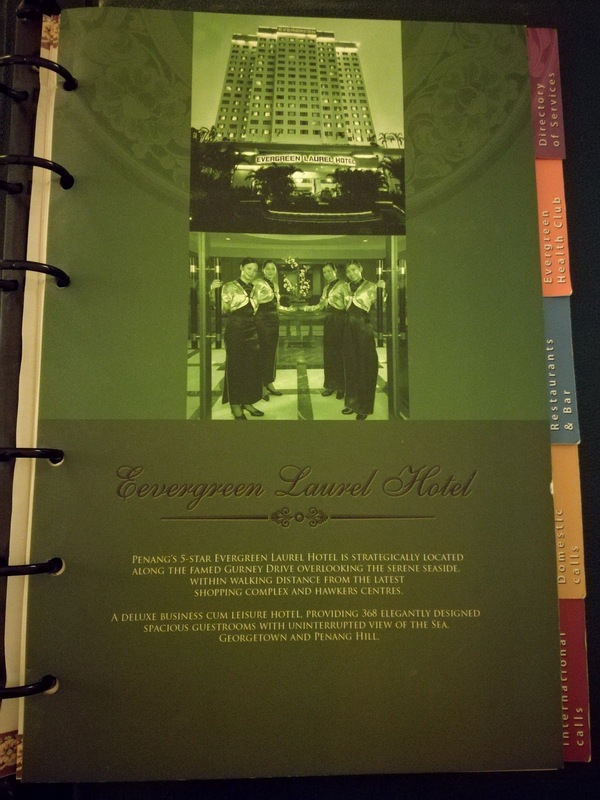 Stayed at Evergreen Laurel Hotel. 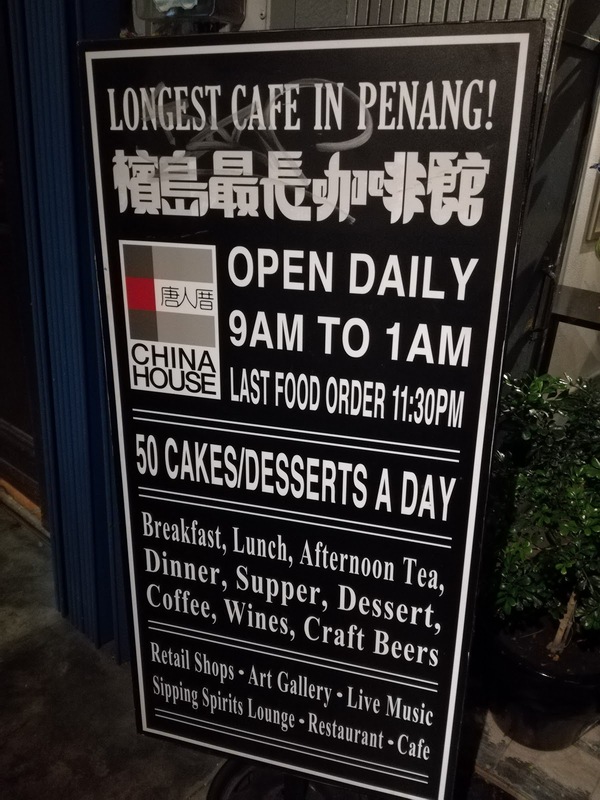 Managed to try the longest cafe in Penang, China House which serves 50 cakes/desserts a day. Just look at their selections! We had ayam percik and it was rather so-so. But their cakes were super good! We had 2 variants and they were very generous in their portion. The flavours were also very 'kaw' and I would totally recommend China House for their desserts. The typical shot when in Penang with their arts. 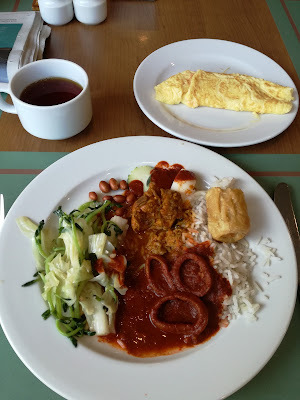 The breakfast selection was also not bad but for a 5 star hotel, I thought they could do better. Not forgetting Nasi Kandar at Line Clear. It's a must every time in Penang. The 'Old Trafford' burger on the streets of Penang. Next day brekkie before going back. Wanted to try the KFC Salted Egg Yolk chicken and it was yummy! Did a foot mask I bought in Korea. Not bad. It actually worked with the peeling of skin. But it took 4 days later to really see the peeling effect. 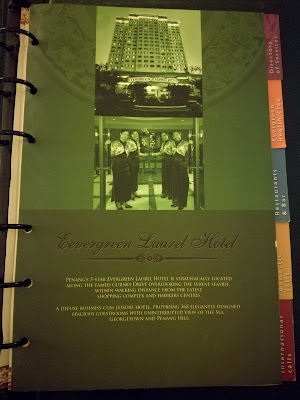 My sole of the feet felt like baby skin after that which was really effective!